A series of four unique children's books. BlindArt organised creative workshops where four talented members of Latvian Society of the Blind worked for 10 weeks to create characters and events that comes together in a unique story. As a result, modern, interesting and educational literature for kids has been created. The illustrations of the books have been drawn by visually impaired and blind children from Strazdumuiza Residential Secondary School and Training Center for the Blind and Visually Impaired (Riga, Latvia). Illustrations were made by using a complex and unique tactile art technique ­- special stencils are used to make dots as coordination borders, then orientating by touch of the fingers, kids are able to color the shapes. Each book has its own educational purpose and the moral of the story is gradually revealed. 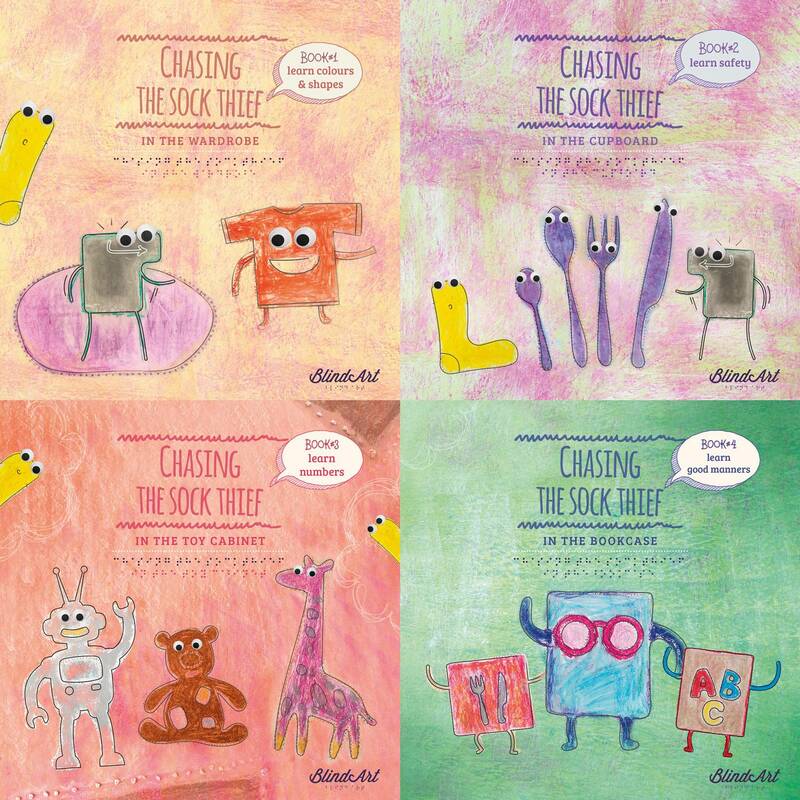 • In the first book “Chasing the sock thief in the wardrobe” events takes place in a wardrobe and with the help of the story, reader can learn about colors and shapes. • During the story of second book “Chasing the sock thief in the cupboard”, characters find themselves in kitchen cupboards and events of this book teaches readers about being safe. • In the third book “Chasing the sock thief in the toy cabinet” characters are now in a toy closet and little readers can learn about numbers. • Fourth and final book “Chasing the sock thief in the bookcase” teaches about importance of being polite with the help of some additional characters – the wise books that Enter button and yellow sock meets on the book shelves. The books are aimed for children of preschool and primary school age group. 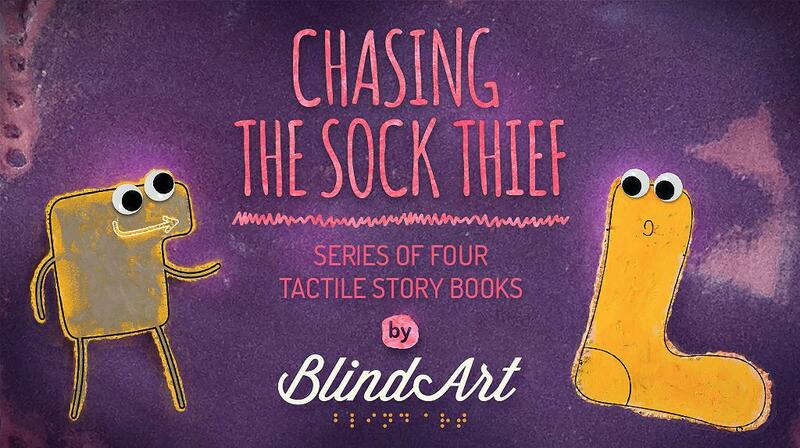 Our goal is to publish part of the print in a Braille writing system, so that the story is available for blind and visually impaired children as well.